GPS or Global Positioning System is a satellite-based navigation and positioning system which can be used by anyone, anytime and anywhere in the world. Our GPS report portfolio consists of analytical market research reports supplemented with statistical data on global GPS market, covering subjects like GPS tracking devices (including portable navigation), GPS software, and Fleet Management Market. We examine past and current market trends of GPS market to provide latest market updates to clients. Our team of industry experts do extensive research on GPS market and identify the developments, capabilities and contribution of global positioning services all over the world. 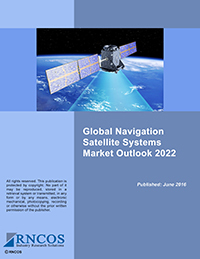 Our comprehensive research reports on GPS market provide exhaustive account on drivers, opportunities and challenges vital for the success of clients in GPS industry.